A simple and clear question of locating a person’s current whereabouts. We do not care about the querent, or feelings or future actions. This means we will directly address the quesited’s significator, its dispositor and the moon. There is no need to check irrelevant factors. Glory in simplicity. 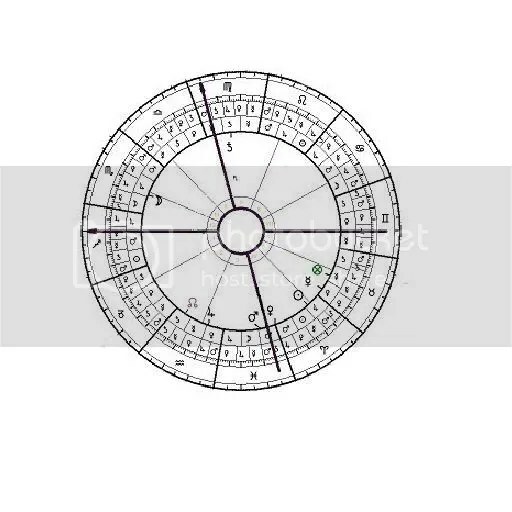 The querent gets the first house in Sagittarius and its ruler Jupiter fits our querent having a Sagittarius ascendant herself. The quesited is assigned the 7th house. His ruler is Mercury, which again fits as he is a young man. Where is our significator (Mercury)? In the 5th house of fun and creativity. What kind of entertainment does Taurus stand for? As the earthy domicile of Venus is connected with beauty, grace and pleasure in a more tangible way, food and throat. Banquets and music and dancing and paintings. So, he is somewhere having fun. A dancing or music hall – a public banquet is less likely but not out of the question. Could be a country picnic. POF (Part of Fortune) – the most important Lot for lost items/people, is also in taurus and 5th house. Alright so, he is having fun, that is a good indication. Mind you this is querent’s 5th house; not the turned 5th house. The chart speaks in terms our querent will understand, it is her chart and made the question for herself, the location will be judged by how she sees it. Turning the houses, Mercury is in his own 11th house of friends and large social groups.He could be socializing on the internet for example (if we go after a rather modern approach). We need more indications to pin the exact location and make sure picking the 5th house was the right choice. Let’s fine-tune this by using Venus as she disposits by rule, term and face our Mercury. She has just stepped back in retrograde motion into Pisces, her exaltation. A very wet sign and Venus is a cold and moist planet. What is Moon doing? She is conjunct 12th house cusp, in detriment in Scorpio. Gets worst, Moon is right on the “accursed degree” on Serpentis. Is this bad? 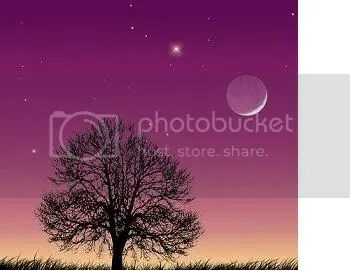 Moon also shows the querent’s sentiments or mind if you prefer the term. Being on the cusp of the 12th in this case, shows the querent fears something really bad has happened but, not a bad outcome on its own. Moon tells us something more: She too is cold and moist and Scorpio – like Pisces – is also a wet sign and both signs often stand for stagnant waters. Now we are getting somewhere. Mercury is disposited by a cold and moist planet, moon is also cold and moist, both are in wet signs. Adding the information of the sign Mercury is, the person we inquired for a location, is in a recreation area that is wet and very cold, possibly stagnant waters, having fun. Is rather unlikely he is in a wet banquet or in a wet and cold art exhibition (not much fun there). A cold and wet opera house is an also unlikely option. A wet-shirt beach competition with barbeque would be a viable option if we had not get the many “cold” indications. Mixing “discretion with art” directs us to chose the obvious that connects all indications: what is cold and wet and stagnant waters with dancing and/or music and fun? Mind that all along, all we were after was a location and its attributes. We didn’t ask for action so we had no need to take aspects in consideration. Upon return he contacted our querent, confirmed he was ice skating in an open, public ice ring and added it also was raining lightly hindering the nearby band. Deborah Houlding will give a full day workshop in Amsterdam on March 7th. I have no affiliation whatsoever with this but, a Deb workshop on Horary is hardly to be missed. For the lucky ones that can attend it: enjoy! Moon is the most important body in Horary. She is the co-indicator of any question. As Moon moves only forward in its respective phenomenal movement, we can think of it as linear time-frame: past aspects give as insight on past events; future aspects predict future events. No aspects mean no events, which promptly brings us to the concept of a moon being void of course and its meanings. What is a VOC Moon? Any planet can be void of course but, it is especially noticeable with Moon and in addition she is the most important body in Horary so, it makes perfect sense that many authors paid extra attention to this condition. When moon perfects no major (Ptolemaic) aspects with another body until she leaves the sign she is in, we call it a Void of Course Moon (VOC). We do not take into account aspects to parts or fixed stars or house cusps; only towards the sun and the planets. A word of caution here, moieties of orbs do not count when Moon is at the end of a sign! There is one exception I found where we can allow moieties: when the Moon and body in moiety are in strong mutual reception. In general, Moon can be Void of Course in any part of a sign; in its beginning, its middle or its ending and each position holds a different meaning. In the beginning and middle of signs, we allow moieties of aspects. In simple words, look at your aspect grid; is Moon currently applying a Ptolemaic aspect to another body within moiety of orbs (aspect tolerance)? If yes, she is not VOC. If you see no aspect in the grid but you can see that later on Moon will make at least one aspect – she is just not making one right now – she is *temporarily* VOC. (Remember: this does not apply when our Moon is in the end of a sign; here you ignore moieties and you are after perfection of the aspect). Sometimes Moon is VOC through the majority of a sign. For example if planets are all gathered in the first 5 degrees, moon will be void of course from 5 01’ to 29 59’. In such occasions, she is considered “feral”; a wild, ferocious and unfavorable Moon (unless your Horary is for a lost animal, where would make sense to have Moon in a feral condition and would not be an ill omen on itself). This is one of the most important considerations before judgment; don’t ignore it, as it actually holds an answer of its own. Can you judge a chart with VOC Moon? Yes you can! It is a consideration; not a stricture against judgment. Alan Leo believed it “denotes in general no success in the question” but he was rather short about it. For William Lilly, moon “may” perform even if VOC if she lies inside Taurus Cancer, Sagittarius and Pisces. “All matters go hardly on (except the principal significators be very strong) when the moon is void of course; yet somewhat she performs if void of course and be in either Taurus Cancer, Sagittarius or Pisces”. (Why those four signs? Because they are where Moon or Jupiter (the greater benefic) are strong by being domicile or exalted). I agree with Frawley that by “things go hardly on”, Lilly meant with hardships, with trouble and not that things will not proceed at all but, only if she is in a sign she can perform and the main significators are strong. Lilly put in his own words what Guido Bonatus meant with “Behold the moon if she be void of course, for then it signifies an impediment to the thing in question, it will not come to a good end, nor be accomplished; but the querent shall be forced to desist with shame and loss” and “(moon VOC) signifies that the thing enquired after shall scarce ever come to a good end and not without much labor, sorrow and trouble; unless ruler of ascendant or quesited be in a very good condition, then it may be hindered but not wholly frustrated”. Abraham Ibn Ezra was more straightforward, “if the Moon is moving by itself, it indicates any futile thing, and it signifies that any thing which the asker requests cannot possibly occur”. What if VOC Moon is one of our main significators? Makes the situation or person idle. No actions or no fruitful actions. If she be peregrine and VOC, there is lack of will and purpose, scattered energies. If she is debilitated and VOC, denotes lack of happiness, erratic action, tiresome attempts to no avail and trouble. If Moon is essentially dignified but VOC, there is will but the circumstances are not favorable for action, or that the situation is already concluded and our quesited is happily idling now. You can judge which is the case by the last aspect of the Moon and its house position. If your void of course Moon appears in the beginning of a sign, it means the situation is still at its beginning and things will delay starting their course of action. If your void of course Moon is in the middle of a sign, the situation is currently under a halt, expect delay and idling before events start happening again. No, it will not. It has to perfect the aspect before changing sign. Simply being in moiety, even in conjunction, does not complete the action promised. “My question is whether we divorce and Moon is VOC? What will happen? Nothing. No action, no divorce. The situation remains stale for now. Not with that interview. They may reschedule, you may miss the appointment or, you may go and do the interview but they tell you to reschedule yet another interview. It depends. Check whether the Moon is in a sign she can perform and whether your significators are strongly dignified. Basically, because astrology is downright interesting. Strangely enough, I have rarely seen the word “interesting” used as argument in favor of astrology and it is a pity really. People usually come to astrology for a combined and simultaneous number of reasons. It can help one be prepared for opportunities or disasters, it can direct a person towards its real potential or towards a better understanding of themselves, it is fun, it is interactive socially and so on. People also make money of it either as gamblers or as practitioners. Many of the practitioners deserve every single penny they charge. Learning astrology requires – literally – decades of study and reading hundreds of books. If it was a subject taught in universities, few brave would chose it due to its workload. 1. We are impatient, we can not wait in anticipation, we want to know now. We also hate fake surprises – don’t tell us “we have a surprise but we are not telling you what it is”; tell us what the darn surprise is…now! 2. We are cautious and like to plan ahead. Life is a serious matter to us, so we do all the research we can and try to predict future conditions in order to prepare for them. Uncertainty is a principle we just don’t like. Companies do the same when they market research to predict future tendencies. 3. We are feeling lost in a society that doesn’t suit us perfectly and/or we still try to understand ourselves and why we feel miserable and/or we need a vision so we don’t feel miserable. The usual tools to help us in the search for ourselves and furthermore in our search for happiness and vision are psychology and astrology. Other options include religion and occultism but both are quite demanding and we just need to talk about ourselves right now. 4. We need money and we failed making them with the socially traditional ways of our times. Does not matter what we have to do, we need money and we need them now, there are a lot of gullible victims out there. We won’t bother actually learning astrology, just s few relevant lines to sound savvy and believable. 5. Somebody told us about astrology and they also said some very accurate stuff about us: they told us we have a sense of humor, refined taste and we also are very sensitive and caring individuals. Amazed, we exclaim “Oh my, this is true! Astrology is great, I will read my sign on every newspaper available from now on”. 6. We are scientists. This whole subject is retarded; we can’t believe there are people that believe this crap! People must stop wasting time and money on such a ridiculous endeavor and we must help humanity escape. This is absurd, we are telling them for centuries that astrology is wrong (ONLY science is right), why do people still believe it? We must make them understand it is wrong! 7. We are desperate, we need hope. Neither requires reason, either is essential part of life. We are in love, or long time unemployed or a dear to us person suffers from severe health problems. In such cases, it is understandable we are after a favorable answer. 8. We are curious. This thing persevered for millennia; so much debate on whether it works or not, so many questions, so much potential. Both philosophically (What is the truth? What are its fundamental underlying principles? To be deterministic or not to be?) and scientifically (why and how it works? under what circumstances does it work if it works?) exciting, we delve into astrology for the exhilarating joy of researching. ps. By the way, love doesn’t exist. Scientists can not prove or duplicate it in controlled experiments. Love is as fake as astrology. A quincunx is a 150 degrees angle (allowed orb of 2 degrees) and is one out of the two angles considered inconjunct (the other one is semisextile). It was not included in the 5 major Ptolemaic aspects but in later times, was disputed (and still is) that quincunx should be taken into account. Inconjuncts were derived by signs once upon a time, the sign next or before to the one we care for, has no elemental affiliations and therefore no likeness or alikeness or even enmity. It wasn’t a match, it wasn’t an opponent, it wasn’t a friend; it was a strange foreigner, a misfit, an inconjunct. The sixth sign and eighth sign from the one we care for, are similarly inconjunct as they share no connection (either good or bad) through triplicities. This strange lack of connection between the inconjuncts, made astrologers intuitively reach the idea that their influence is disruptive. Further studies proved – to some degree – that quincunx seems to bring an upsetting incident or situation and therefore is considered a negative aspect. It is an aspect that demands changes and adjustments. Quincunxes are particularly important in medical astrology and they often appear in surgery charts. “Will I succeed in college?” With a quincunx between yours and college’s significators, can mean that you may but you will have to radically change your lifestyle, or your attitude, or residence or move to an institution far away from home, or it can simply mean “no”. Dignities and receptions will give us more details and will guide us to correct interpretation. As ominous as it seems, the 150 degrees aspect is pretty often kind enough to offer the querent a choice. “You can do *this* IF YOU change *something*. In better words is a “if you have the will and perseverance to go through a radical change you will accomplish your *something*”. You can chose to change what is needed or leave it as is. You are free to choose and you make your destiny. Aren’t quincunxes nice? However, they usually avoid pointing out what that *something* might be…Which is really, really upsetting.